Mike was born in Tulsa Ok, and graduated High School from Chanute KS. During High School he worked for NuWa Industries, manufacturing RV’s. After High School he joined the US Army, serving as an infantryman in the First Cavalry Division during the Vietnam War. On his return from Vietnam, Mike re-joined NuWa as a Partner, and helped pioneer the Hitchhiker brand as one of the first 5th wheels on the market. At NuWa, Mike was instrumental in the first glide room concept, and became a major provider of 5th wheels until 2012. 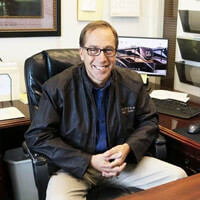 Struggling to price compete with Thor & Forest River brands, Mike opened Kansas RV Center and entered the retail segment, establishing a market in pre-owned Hitchhikers, as well as some select high-end 5th wheel brands. Kansas RV Center has the largest indoor showroom and service facility in the Midwest, and is known for catering to the needs of the serious full-time RV’er. Mike partners with Oklahoma RV Center, as well as another dealership in the Des Moines Iowa area. The three stores can share inventory, enhancing their ability to find customers their perfect RV. The three stores can also perform service for one another’s customers, to provide the best overall delivery and post-sale experience possible. 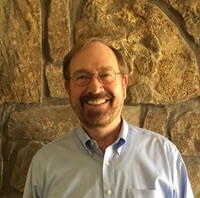 Mike holds a Business degree from the University of Kansas. During the early 1990’s, he partnered with others to charter several Kansas and Missouri banks. 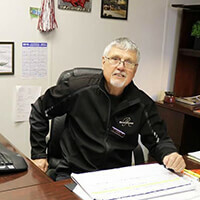 Mike has 5th wheel RV’d all over North America over the last 40 years, and has a wealth of knowledge to share with those who create a relationship with either dealership. 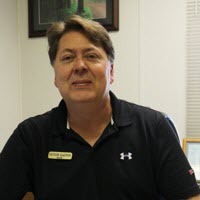 Ray entered the RV business in 1996, working at several Oklahoma City dealerships, before moving to the manufacturing side of the industry as a factory rep for both Heartland RV and Carriage RV. Partnering with Mike Mitchell & NuWa Industries, Ray opened Oklahoma RV Center in October 2011. As a result of his manufacturing background, he understands how to identify quality brands. He has good relationships with many RV manufacturers, buys inventory at discounted pricing year-round and passes those discounts on to his customers. 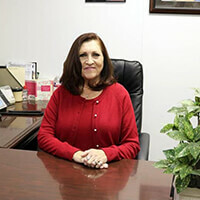 Functioning as Oklahoma RV Center's General Manager, Ray believes in operating differently than some. His promise is to provide a low-key buying experience, and he employs only straightforward sales staff, who are legitimately concerned with the needs and expectations of customers. Ray is committed to providing his customers with an exceptional and personal level of RV Service not found at other dealerships. He is an Army veteran and served in the first Persian Gulf War. Tyler Ellison is our Sales Manager here at OKRV's. He has been in the business for 19 years and takes pride in OKRV's. "We have the best products, with no doc fees, we do business the way it's supposed to be done." When Tyler isn't at OKRV's he enjoys taking camping trips to his favorite local spot, Elephant Rock, with his kids or watching his sons play baseball. 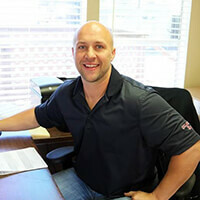 We asked Tyler why he enjoys selling RV's: "When you're selling RV's, you're selling FUN. Fun with your family and friends, memories you can enjoy with them." Vietnam Vet and former Radar Man for the United States Navy, we are honored to have TK with us at OKRV's. TK has been with us for five years and loves being the "old man" of the gang. With over 30 years in sales, he's able to meet and exceed your expectations when shopping. When TK's not at OKRV's he enjoys playing guitar, oil painting, and cheering on the Razorbacks! Victor has been in RV sales for over twenty years. With all his experience and humor, you'll leave OKRVs smiling ear to ear. Victor believes that selling RVs is enjoyable and fun, and he's all about the fun! Victor's dream RV: DRV Luxury Suites FullHouse. With three years working in RV Service, Spencer wants to help you! 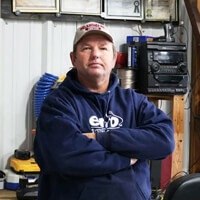 He enjoys the challenges and working with customers at Oklahoma RV Center. When he's not at OKRV's, Spencer is spending time with his family, running, lifting weights, and watching his boys in little league sports. We asked Spencer if he had a tip for anyone regarding RV's: "Don't buy a pop up travel trailer, because no one in the state of Oklahoma works on them so it can't be serviced." 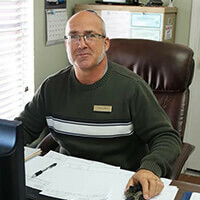 Richard is our Service Advisor here at OKRV's and is here to answer any questions about your RV you may have! We asked him what he enjoys most about his job and he answered, "Every day is different, and everyday you'll have a different problem and solution." When Richard isn't at OKRV's he is spending time with his wife and kids, and volunteering in Prison Ministry. We asked Richard if he had a tip as a Service Advisor: "Always use a surge protector." 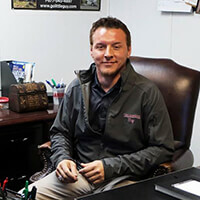 James has been with Oklahoma RV's service center for three years and in the RV business for ten. James grew up around RVs with his dad, and he loves a challenge. "There's always a new task everyday, with a new outcome." 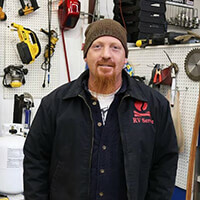 We asked James what his #1 Tip was for anyone servicing their RV: "Patience." Rickey has been working on RV's for eighteen years and enjoys it being a new job every single day. He is an accomplished and award-winning technician, which makes us proud to have him on our team. We've had the pleasure of working with Rickey for three years. When Rickey isn't at OKRV's he is working on his 110 acre farm and spending time with his wife. We asked Rickey what his #1 Tip was for anyone servicing their RV: "Get an owners manual!"